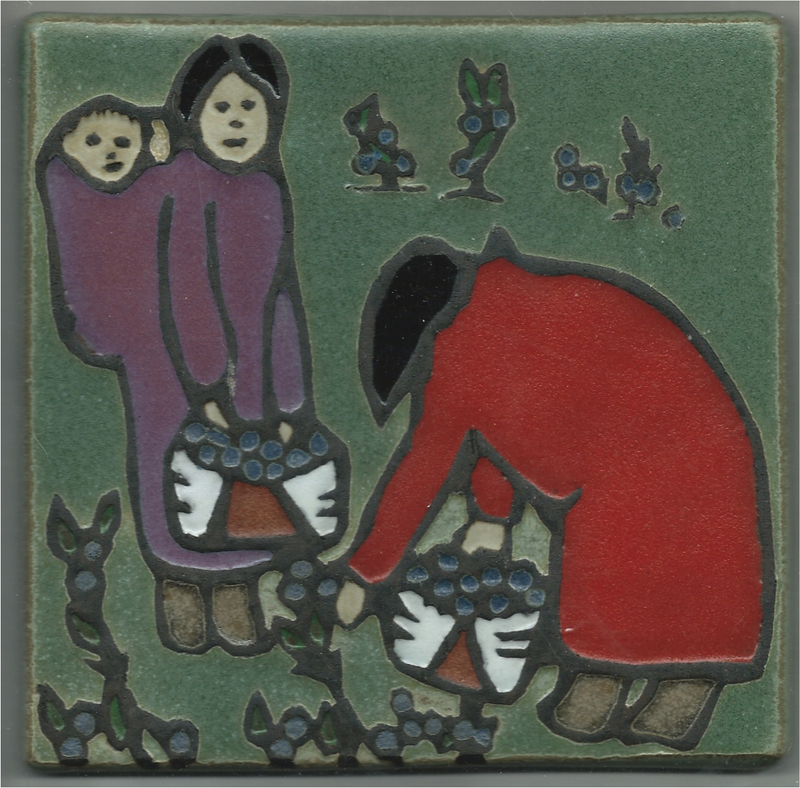 These two tiles are new and were made for the Fur Rondy festival that is held for ten days each year at the end of February. There are tons of events and I’m in one with about 120 other Alaskan Native artists selling Arts and Crafts. 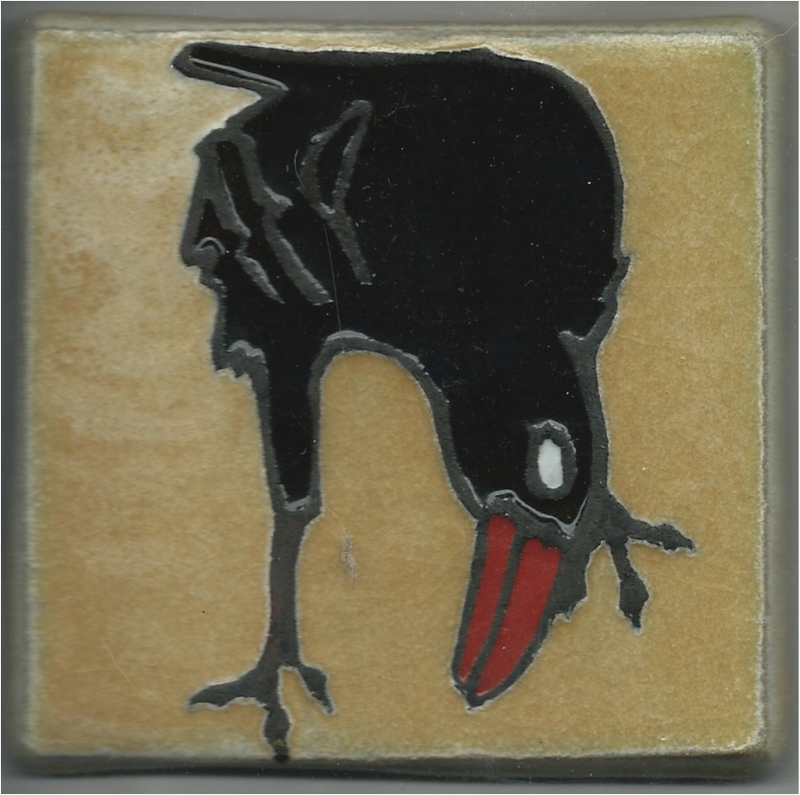 The Berry Pickers is six-inch in size and priced at $75 and the raven is four-inch and goes for $35. I sold six of the ravens at the Fare. The baskets are made from birch bark. The Iditarod started over the weekend. It’s a 1000 plus mile sled dog race that starts in Anchorage and ends in Nome. There is a Jamaican racer this year. Wow. It reminds me of the Jamaican Bob Sled team in the Olympics. I will be in the Denver March Powwow March 21-23, The Moravian Tile Festival in Doylestown Pennsylvania May 17-18, the Chicago Millinium Fare May 31-June 1, and Chicago Botanic Fare July 5-6. Don’t know yet if I got accepted into the Sante Fe Indian market, but looks like I can be in the Alaska Native Heritage Center tent if I want to. Otherwise I will be at my tent at the Anchorage Weekend Market. This entry was posted in 4" Tile, 6" Tile and tagged Alaska tile, art tile, Birch Bark Baskets, Blue berries, eskimo, Fur Rondy, Iditarod, Raven. Bookmark the permalink.